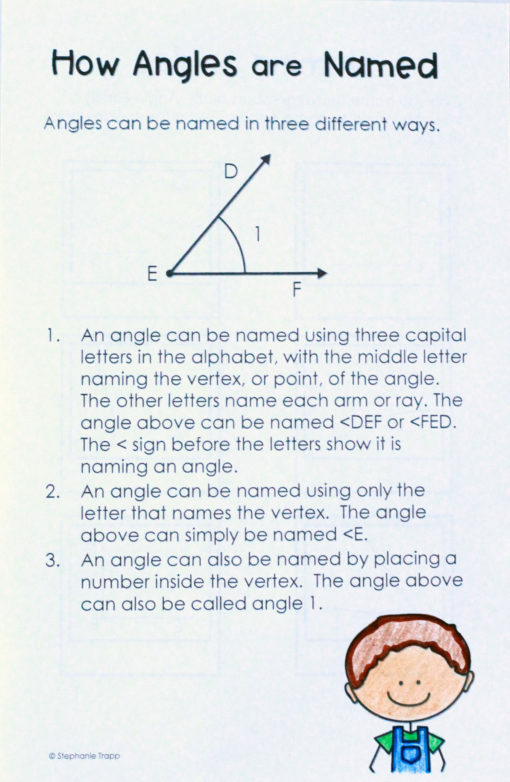 Our math curriculum doesn’t do a stellar job covering angles. 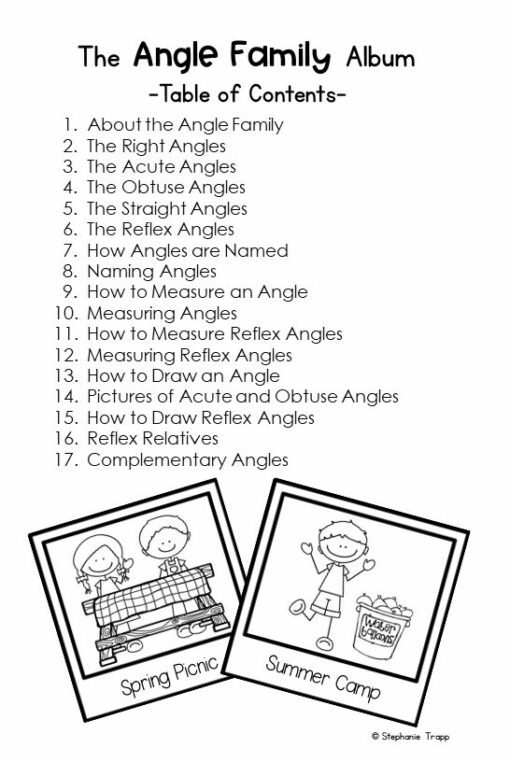 I went on a search for some angle activities to hopefully make the unit more fun and meaningful. When I didn’t find anything that fit what I was looking for, I decided to create something on my own. 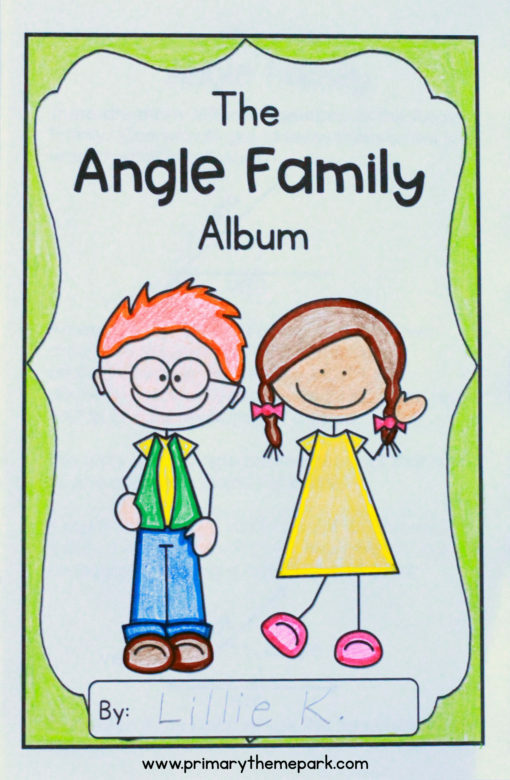 I put together The Angle Family Album to teach angles from every angle! We basically used this booklet as our textbook all week. 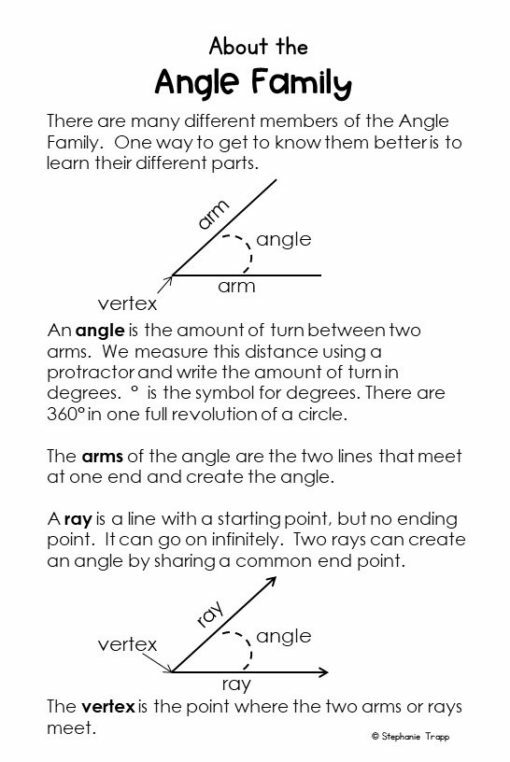 It starts out with an “About the Angle Family” page which describes the different parts of an angle: arms or rays, vertex, and angle. 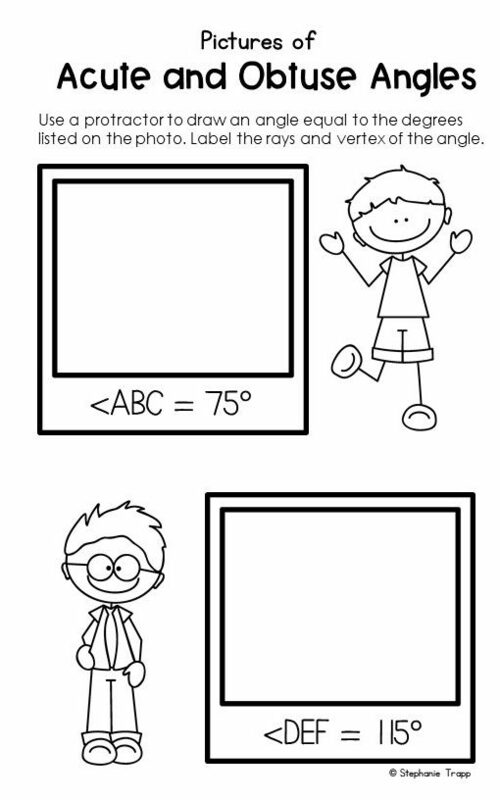 Our curriculum uses arms to create angles. 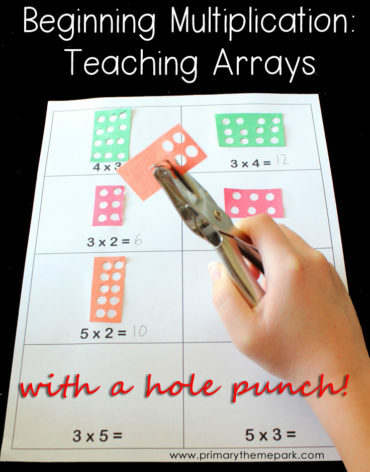 In order to align it to Common Core Standards, I used rays for the most part throughout the booklet. 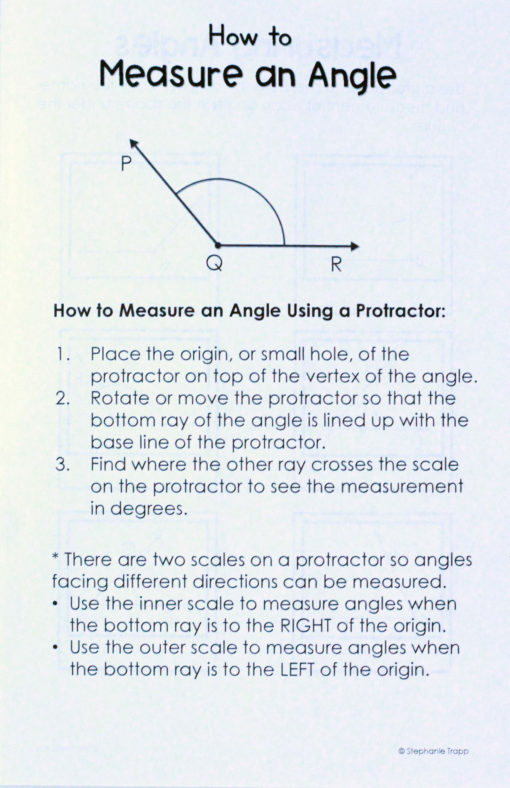 Plus, as they progress through geometry, rays create most angles. 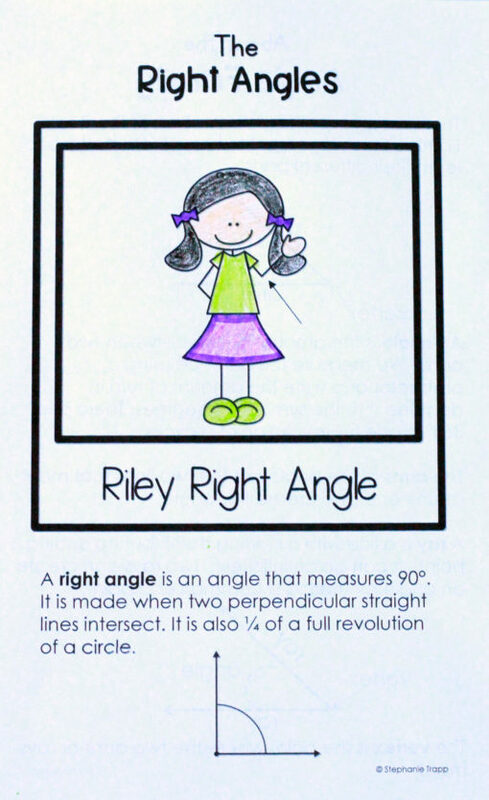 Next, the booklet describes each type of angle: right, acute, obtuse, straight, and reflex. 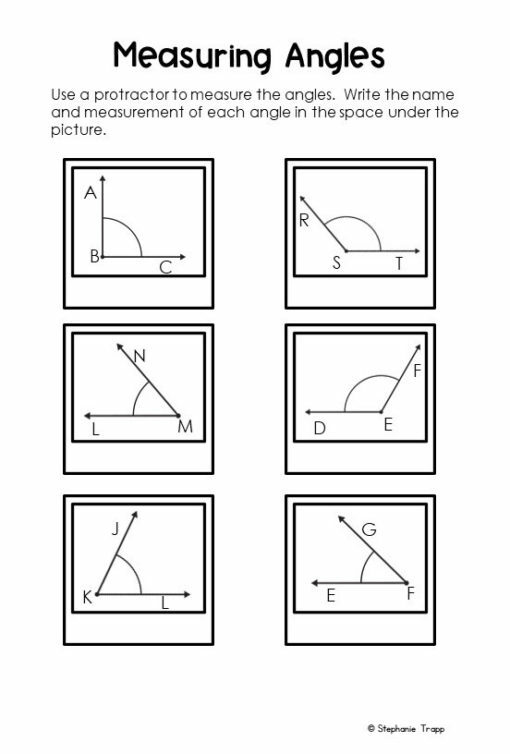 I chose to use stick kids clip art to highlight the different types of angles found on each one. If you’re interested in seeing more of the pages, you can preview the ENTIRE booklet in my TPT store. 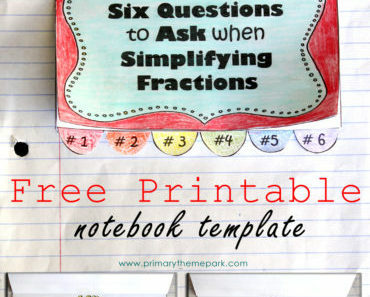 A blank table of contents allows you to customize the booklet to your needs. Just use the pages you want! 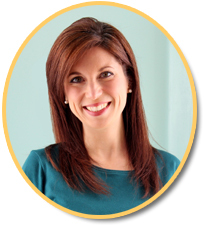 I formatted to booklet to be paper friendly with front-to-back printing. 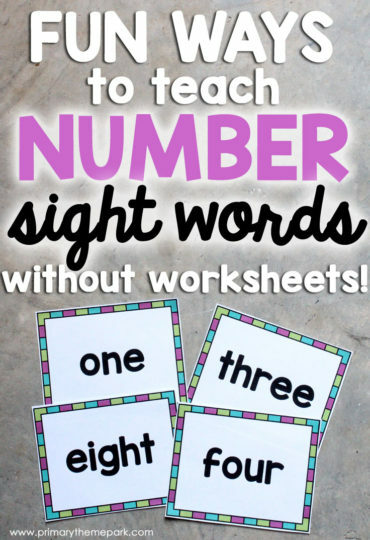 Simply cut the paper in half, place the pages together in order, and staple down the left-hand side. 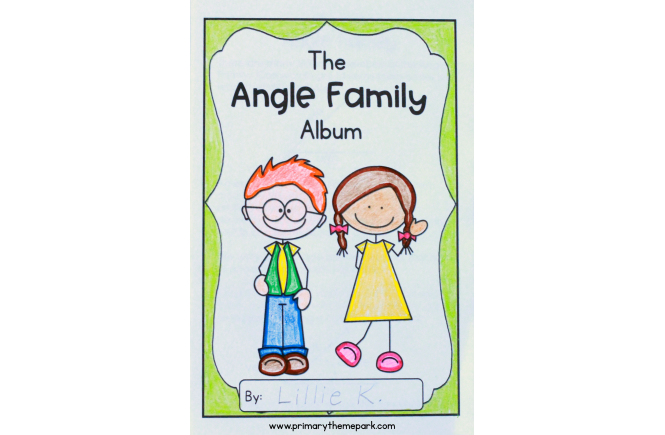 If you’re in need of a fun and engaging way for elementary age students to cover angles from almost every imaginable angle, I think your students will love The Angle Family Album!